Application to send messages and graphics through the Android lock screen . Android system is characterized by the flexibility offered by the programmers, where there are a lot of applications that add a lot of advantages to the device, such as controlled by the movement of the hand or the head. 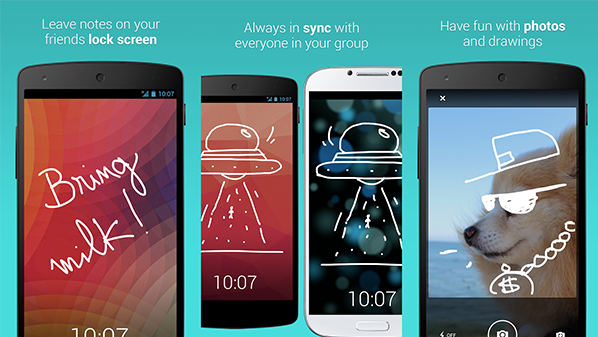 The application was launched recently LokLok free, which changes the lock screen entirely to become a small social network through which to send messages or graphics to show up when the rest of the friends. After installing the application is replaced with the lock screen, and access to the application and create a free account can add users to send messages to them through the lock screen, to show them also on the lock screen.